A110-1 LARGE CONCENTRATIONS OF BIRDS INVOF ARPT; MOST ACTIVITY BTN SR-SS UP TO 1500 FT MSL. A110-2 CARGO & TERMINAL RAMPS ARE NON-MOVEMENT AREAS. 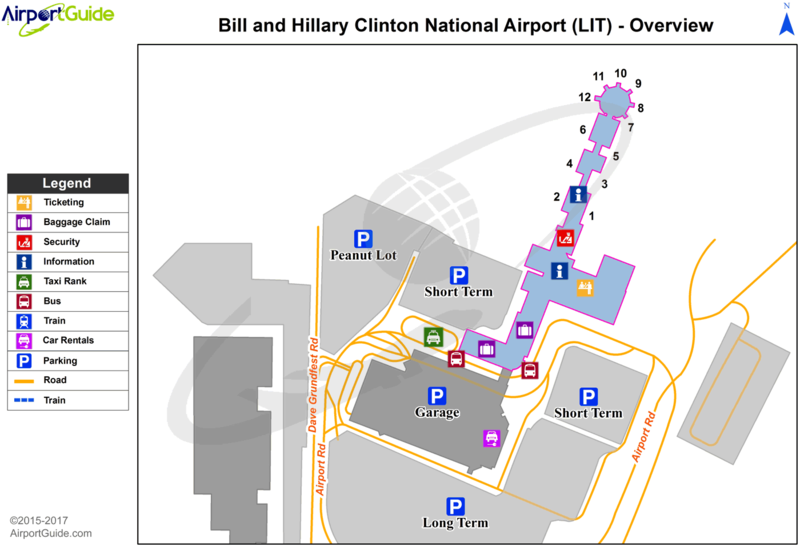 A110-3 NO GENERAL AVIATION PARKING ON TERMINAL OR CARGO RAMP. 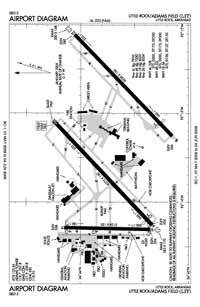 A110-6 TWY A 315 FT SOUTH OF TWY L INTERSECTION TO RY 36 CLSD EXCEPT ACFT WITH WINGSPAN LESS THAN 79 FT.
A110-9 BE ALERT: NORTH LITTLE ROCK MUNI AIRPORT IS LCTD 6 MILES NNW WITH SIMILAR RUNWAY CONFIGURATIONS. A57-04L APCH RATIO 42:1 FM DSPLCD THLD. A57-18 APCH RATIO 39:1 BASED ON DSPLCD THLD +35 FT TREE 1385 FT DIST 164 FT LEFT. A57-36 APCH RATIO 24:1 BASED ON DSPLCD THLD; 105 FT TREES 2579 FT DIST 351 FT R.
E60-22R ENGINEERED MATERIALS ARRESTING SYSTEM (EMAS) 262.6 FT IN LENGTH BY 169.7 FT IN WIDTH LCTD AT THE DER 22R.